The beauty of Tamhane’s film lies in the fact that it is so real. Court is a biting commentary on society, a wry fly-on-the-wall take on the farcical way in which our judicial system and its antiquated laws decide the fate of our people. The lead performers cease to act, and just let their characters breathe through this subtle script. It is how Tamhane tells his story that we are drawn in – occasionally choosing to strip the characters of their day jobs and taking us into their lives. The film takes its time to unfold, perhaps metaphorically used to point towards the slow procedure of the judiciary, but the brilliance of the script and acumen of the director keep you hooked. ‘Court’ is a film for the thinking viewer and requires you to evaluate scenes using your brains. Those of you who are formulaic film lovers and want to howl and whistle in cinema theatres, please stay away from this one instead of spoiling the experience for others. For people who love meaningful cinema, this is a must watch. Don’t miss the summons! Vivek Gomber and Geetanjali Kulkarni, the two pros in the cast, deliver superb performances to sustain our interest in the dreary court proceedings.Worthy of special praise is the manner in which the duo merges seamlessly with the amateurs.The latter are the real faces in the drama, like the dead sewage worker’s wife (Usha Bane) and the folk poet’s young co-traveller Subodh Khuste (Shishir Pawar).The multilingual Court (Marathi, Hindi, English and Gujarati, with subtitles) is an exceptional cinematic achievement: a film that no cinema lover can afford to miss. Tamhane’s film junks melodrama, and is all the more powerful for it. Just a tiny niggle: there are times it feels like it is opening too many fronts and you start feeling the weight, but the film moves on before it gets too heavy. The rest is subtle and hard-hitting, and your jugular is where it aims, unerringly.‘Court’ is a searing, unmissable film​, and is one of the best you will see this year​ . If you feel any other way, well, go ahead, sue me.Four stars. It’s not a stretch to say that Court marks the release of the finest film of 2015. It also won’t be easy to top the National Award winner for Best Feature Film, a multilingual film which is unlike any courtroom drama Indian audiences have seen. 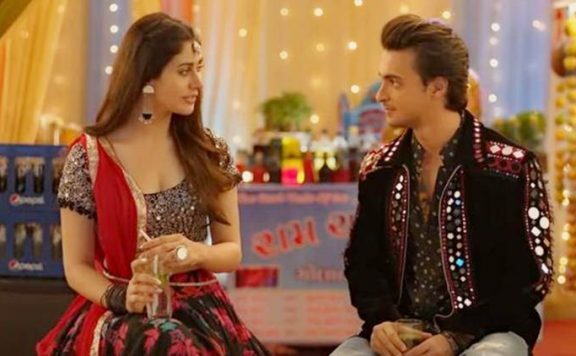 This powerful, soul searching story accentuated by confident direction is ably assisted by awe inspiring casting (casting director Sachit Puranik) and near-perfect production design (Somnath Pal and Pooja Talreja). Geetanjali stands out with her brilliant performance, while the other actors lend good support. However, Gomber seems to struggle with his Gujarati accent and trying to fit into his character.A film so real that you can almost touch it. Please go watch it. The audience needs such films more than the film needing the audience. 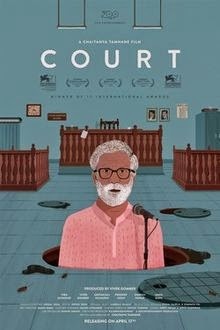 Court Movie is about a ageing folk singer is tried in court on charges of abetment of suicide. He is accused of performing an inflammatory song which might have incited the worker to commit the act.